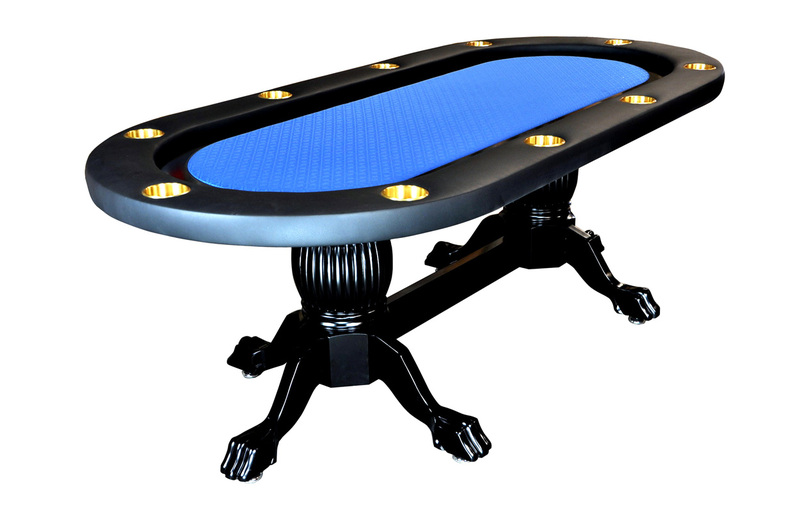 Elite tables have been improved with our newly designed pedestal legs and upgraded table materials. It was great before, now it's just ridiculous. We've also listened to our customers and now the Elites are available in default BLACK armrests! If you want to change the armrest color, we will gladly do that for you. The Elite is exactly what it sounds like - confident and classy. An impressive centerpiece for any occasion, the Elite is a serious battlefield capable of high stakes wars, but is also equally comfortable hosting your next dinner party. 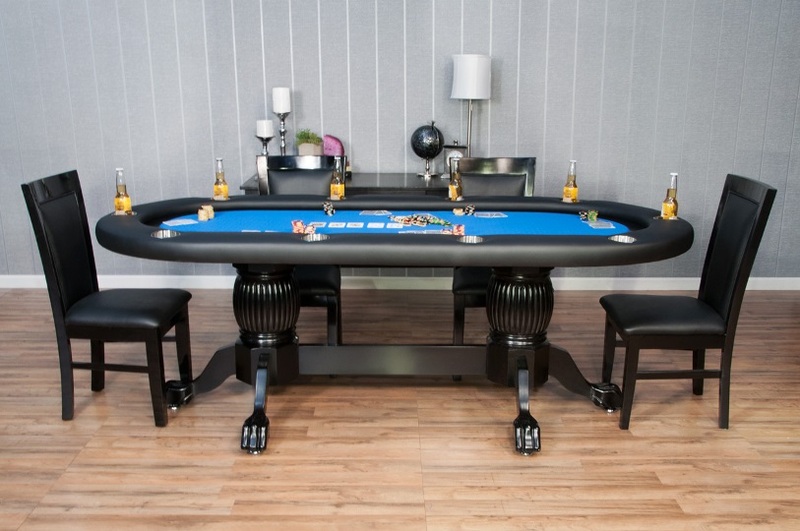 The Elite poker table measures in at 94in x 44in x 30in and features a sunken playing area. 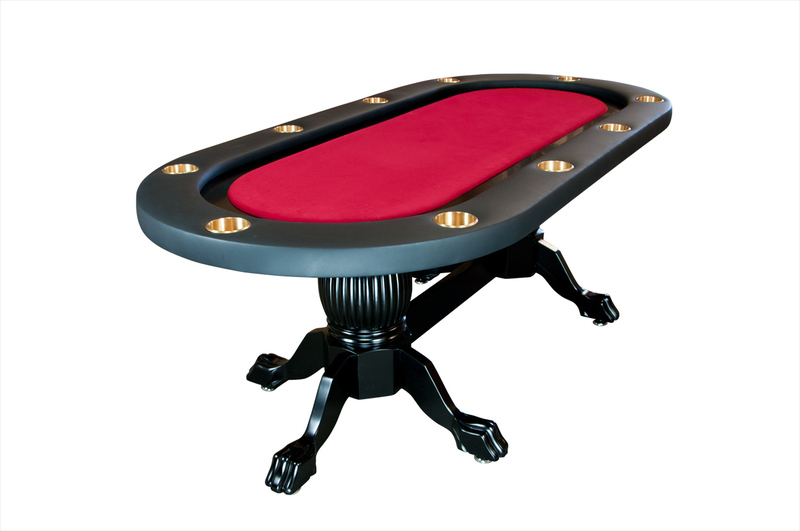 There is a depth of two inches from the top of the armrest to the playing surface. The new sunken playing area adds a distinct element to play, giving the playing surface a pit feel. The brass cup holders contrasts the black gloss finish, giving it an understated but unforgettable presence. 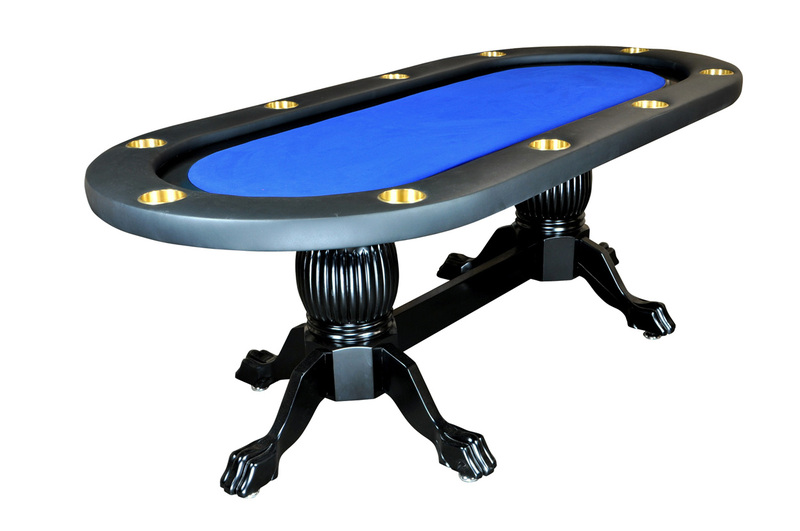 The Elite also features an accent racetrack to give a contrasting finish to the playing surface. 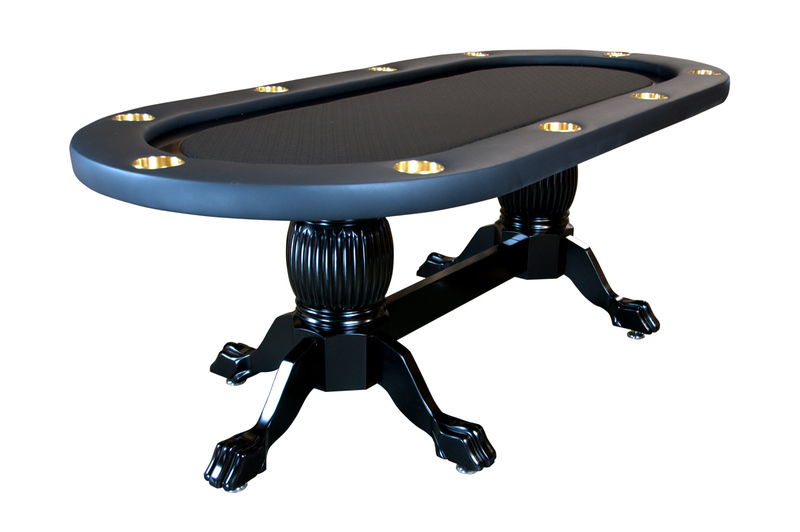 CNC cut and hand finished solid oak pedestal claw legs cement the Elite’s commanding stance. Sit a few friends around it, and watch their jaws drop.